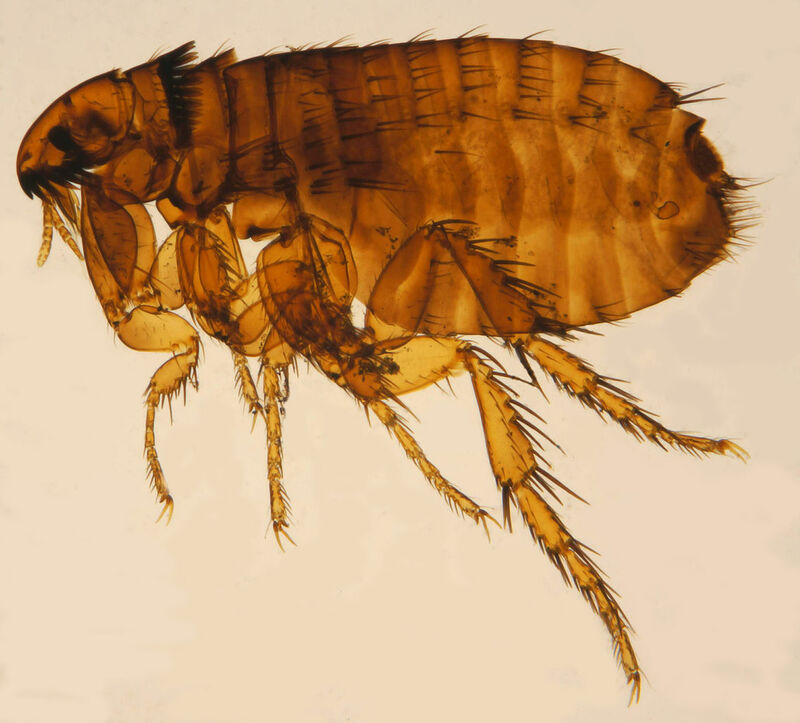 Recently, a national pest control company revealed that, based on their research, they have seen an 82 percent rise in the number of call-outs for flea infestations this year. Here at Confirm A Kill, we understand the main reason that this flea boom has occurred…the reason is the heatwave of Summer 2018. Why did the heatwave cause the flea boom? We all love a good heatwave; Summer nights spent eating al-fresco, days spent sunbathing and of course, being able to walk pets at any hour without the fear of rain. But the latter may be the reason for the significant rise in fleas. It’s a given that most household pets will spend much more time outside during warm days than at any other time of the year. During the time spent outside, it’s a lot easier for pets to become a carrier to fleas that have jumped off of flea-ridden foxes, stray cats and other wild mammals and rodents. Once inside the warmth home, the infestation of fleas is likely to spread further. A lot of the time, fleas thrive in a warm environment, giving them time to breed. The worst thing about a flea infestation is that the fleas on the ‘host’ (your pet) only account for around 5% of the total flea population nearby. 95% of those fleas will be on furniture, bed linen and carpets! So how can you limit the infestation? How to deal with fleas in the home? Arguably, fleas are the most annoying pest to deal with, they’re small enough to get around easily without being seen and agile enough to latch onto anything they please. Although they prefer four-legged hosts, fleas are perfectly accustomed to jumping onto humans and any soft furnishings. You don’t even need a pet to have fleas as they can be passively transmitted. Use a powerful vacuum cleaner – use this in absolutely every nook and cranny possible. On any floors, upholstery and mattresses; cracks and corners are good places that fleas use for hiding larvae and cocoons. If possible, a vacuum with a bag you can dispose of is much better than one that you come into contact with. Steam cleaner – For carpets and light furnishings including pet beds, steam them. The combination of high heat and soap is the enemy of fleas. Wash all bedding – all bedding means your pets’ bedding too! Wash it in boiling hot water and dry it on the hottest setting. If the infestation is really bad, consider buying new bedding. Wash your pet – if you think your pet is the source of fleas, wash them in specialist flea removal shampoo. The best rated on the market for dogs is Animology Flea and Tick Dog Shampoo, although other brands are available. For cats, it’s recommended they are brushed with a fine-toothed metal comb and sprayed with flea repellent. Talk to your vet – they may be able to recommend oral or topical flea remedies. Toxic flea collars – for cats, many recommend flea collars. However, there are a handful of cats who have severe reactions to these collars or get rashes from them. So, using other methods is recommended. It is worth consulting a vet. How to deal with fleas in the garden? If your pet spends a lot of time outside, chances are, you’ve got fleas to deal with outside too. Problem spots are likely to be places your pet likes to lie down. Once you’ve assessed this, you’ve got the areas you can focus on. How can you tackle the problem? Mow the grass regularly – fleas like to hide in tall grass, so don’t let them. Make sure to bag the contents rather than adding it to a compost heap. Talk to your garden centre – ask about nematodes, which are small worms that eat parasite eggs. You can spread them around problem areas. It’s worth noting that fleas don’t deal with the cold very well – so not much needs to be done to deal with fleas outside; the cold will do that for you. It’s inside that will be the main problem area. Whilst we can give you advice on how to limit the infestation, unfortunately, the steps don’t always work, and a better solution is needed. Don’t worry though, as Confirm A Kill can help you limit the spread of fleas during the flea boom. We can provide a free, no-obligation flea control quote to anyone who suspects they have an issue in their property. There are a number of solutions that we have that aren’t available to the general public, and we recommend that if you feel the flea infestation is getting too much or not going, to contact us on 0115 913 5724 or directly 07791 396 543.